People in Maryland start to seek allergy treatments in the springtime. Plants that are pollinated via wind include trees, grasses and weeds. In Maryland, the tree pollen season occurs in March through the end of April. Grass pollen season is May through July and the weed season is August and September. You have been tested with the pollens that are usually a problem for allergy sufferers in this geographic area. If you have spent time in other geographic areas, you may have allergic sensitivities to other pollens. 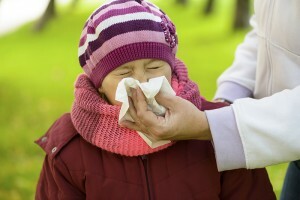 Pollen allergies commonly develop after the age of 3, but can occur at any age. Plants that have large fragrant flowers are generally not a problem for allergy sufferers because they tend to be pollinated by insects and birds. Avoid driving with windows open. Keep windows at home closed during pollen seasons (March-April for tree pollen; May-July for grass pollen; August-September for weed pollen). Do not sleep with the windows open. Replace home air-conditioner filter monthly. Do not sleep with pets and wash pets regularly because they can carry pollen on their coats. Our allergy treatments including medications such as nasal steroid sprays and antihistamines are effective to control the acute allergic symptoms that may occur during a pollen season. Immunotherapy has proven to be an effective measure to reduce pollen allergies. Allergy injections are offered to patients who have incomplete control of allergic symptoms with avoidance plus medications, those who have unacceptable side effects from medications, or those who need to take medications for more than 3 months of the year.